A nursery owner from Gloucestershire was struck off last week after leaving a toddler in her car for over 5 hours, having completely forgotten about her. After picking up the 3 year old as a favour to her mother, Carol Cort, 67 the owner of Barn Nursery School in Bourton-on-the-Water, left the child locked in her car from 9:40am until after 3.00pm. 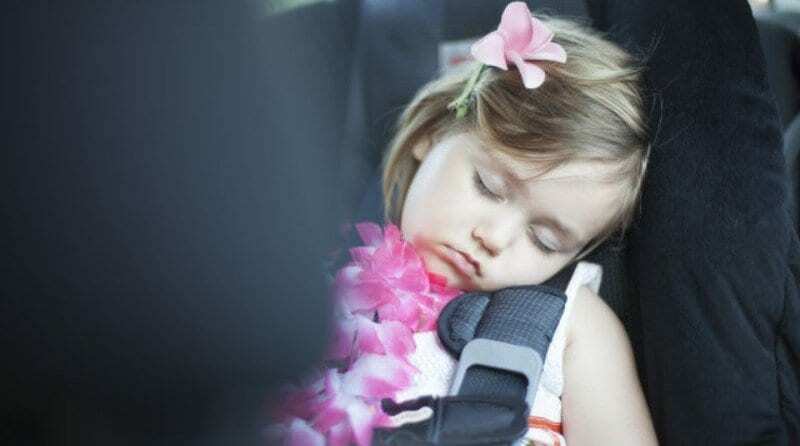 It was only when she returned to her car in order to collect other children for the after school club that she noticed the little girl still strapped in her seat in the back of the car. A court heard last week that Mrs Cort believed the child had been placed in the wrong car until the little girl announced she had “been forgotten”. The mother of the 3 year old reported the incident to local authorities and action was taken, with Ofsted serving a suspension notice to the nursery on 26 February 2013.Mrs Cort received notice regarding the cancelation of her registration the following month. During the appeal last week, Judge Tudor noted that the incident was so grave; it was only by ‘good luck and chance’ that the child had not come to serious harm. Mrs Cort’s appeal to re-open the nursery was denied and her registration cancelled despite a long unblemished history in childcare. Should the nursery suffer for one woman’s mistake? Would your trust in the establishment be diminished if it stayed open? What a dreadful mistake! Im sure the owner has suffered over this. What a waste of 46 years! She should not have been struck off over this. She admitted her mistake and although it is indeed an awful mistake to make her years of service should have been taken in to account. perhaps some new system should have been put into place. Lets face it her guilt will be enough punishment for her. I agree with Dave, Mrs Cort should not of lost her registration, this was done as a favour outside of her usual heavy work load of responsibilities. Does 46 years of dedication not count for anything. It’s terrible and it should never ever of happened. The nursery is run by a team made up of number of qualified staff, not just one person. The disruption to the existing children within the nursery setting should of been considered as well as the staff team. Lesson to all nursery owners – don’t do favours ever!! Quick question – Did the P.M lose his job after leaving his children in the pub? This was a serious mistake and I understand that it merits cancellation but why close the nursery? Surely it could continue with a new manager. What about the children and their parents? This was a shocking case and, although the child did not suffer serious physical harm, she must have been severely traumatised! Would I still have faith in the Nursery? Probably yes if it was, otherwise, a good setting. One should not judge the setting as a whole by the actions of one staff member, even if that staff member happens to be the owner. Would I trust the owner again? That is a different question of course and the answer must be a resounding ‘No!’, however unblemished her past. If the Nursery was, otherwise at least ‘Good’, I would prefer to see a system in place where the owner, if disbarred with immediate effect, was given a period of time to either put a senior Manager in place or sell on the Nursery – whilst not actually working there herself – in order that the other children had continuity of care in a setting which they enjoy and are settled in. By having to close the Nursery without notice, as appears to happen in these cases, not only could parents be seriously inconvenienced, including loss of income whilst they look for another setting – there is no mention of whether other suitable places were immediately available for them – but the other children could also be ‘traumatised’ by a sudden move to a different setting. Ofsted needs to put the children first of course – but surely this should include all of the children in the setting? I totally agree with Margaret. The owner appears to now be beyond coping with the responsibilities of managing a busy nursery, but why should all the children and staff suffer. Put in a temporary manager whilst the nursery is sold. The favour for the parent should be seen as an extension of the service offered by the Nursery. As such there should have been two people effectively supervising the child. If this had been done it is unlikely that the “mistake” would have been made. Mrs Cort made a mistake and should consider whether the roles she undertook in the nursery were beyond her capabilities. The sanctions should have been clear and specific in this regard but on balance I do not think that it was absolutely necessary to cancel her registration. All other things being equal it woul d not have diminished my opinion of her had she kept the nursery open. It is very fortunate that a tragedey did not result We all have the capacity to make mistakes. Remember the P.M. leaving his children in a pub after Sunday lunch?